It’s that time of year again, when it’s almost impossible to book a vacation at any of the Epcot resorts unless you’ve done so way in advance. Yes, that means it is the Epcot International Food & Wine Festival! A tradition that’s gotten more elaborate and more interesting as the years have gone by, the Festival first debuted in 1995. 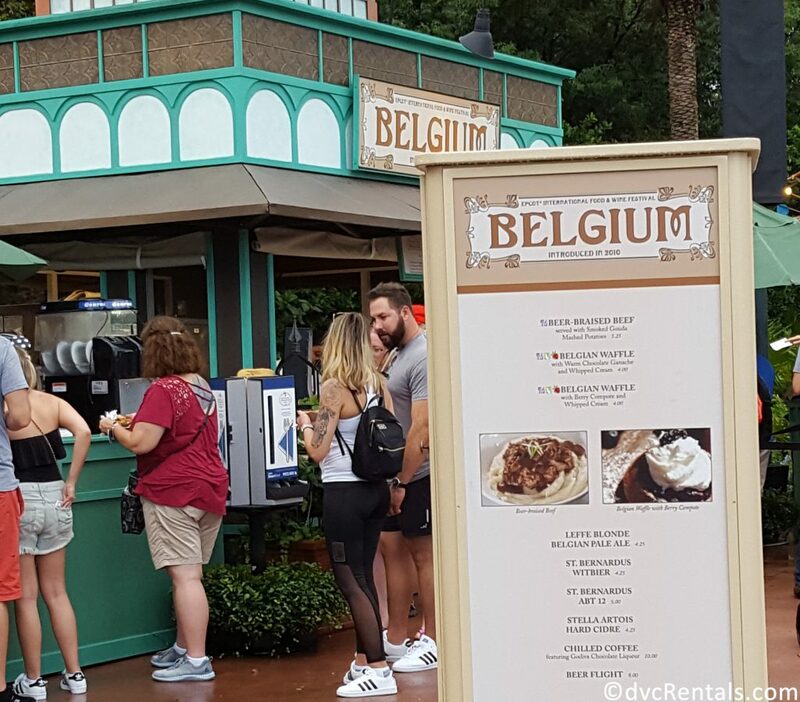 Guests come from all over to sample the dishes and wines from countries in Epcot’s World Showcase, as well as some located in Future World West. Many attendees are repeat visitors who time their trip to coincide with the Festival. 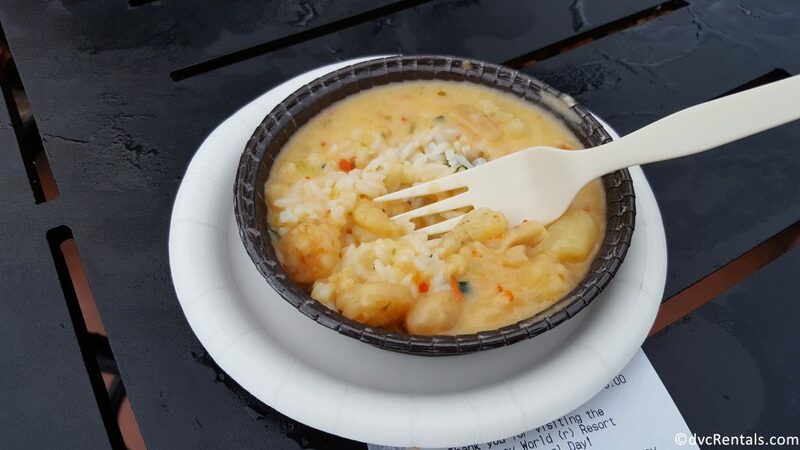 Most first-time visitors to the festival are surprised and delighted to experience tastes from around the world, or, as Disney currently refers to it, the Global Marketplace. 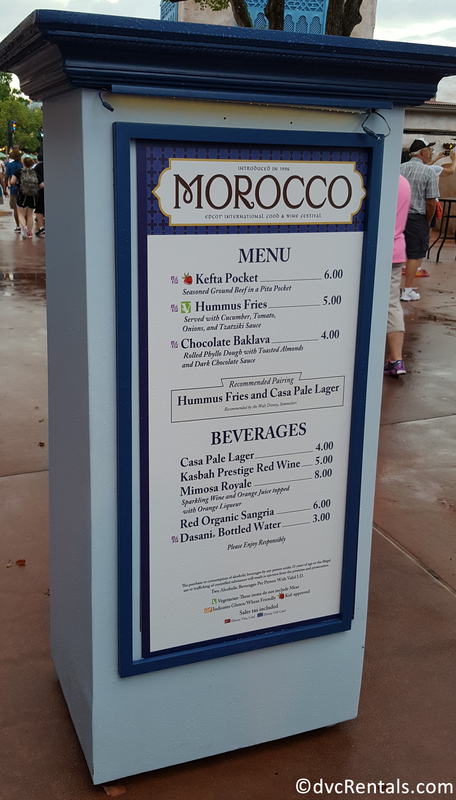 This year many old favorites returned, and a number of new additions were added to some of the food booths. When you arrive at Epcot ask for a Festival Passport, which will guide you through the experience. All of the Marketplaces, along with what they are offering to eat/drink are listed in the guide, as are other special events offered during the Festival. The passport also contains stickers you can use to remind yourself in years to come of what booths you visited in 2018. While many folks are content to enjoy “eating around the world,” some choose to have an extra memorable experience. For an additional fee, Disney offers a number of special events, with Party for the Senses being one of the most popular. This party includes renowned chefs, entertainers, and samples of food and wine you won’t find elsewhere at the Festival. It’s very elegant, but there is much debate over whether the cost is reasonable. This party sells out quickly, as it is held on a limited number of dates. If you want to try something different that is completely free, head to the Festival Center. Located at the old Wonders of Life Pavilion, (to the left of Mission Space), the Center is the place for Back to Basics, a half hour demonstration of culinary advice from Master Chefs that is no cost to guests. Although the Festival Center is open every day from 9AM to 9PM this program is only held Friday-Sunday at 2 and 4 PM. The Center also is the place you’ll find book and bottle signings (if you’re visiting, check the Epcot daily schedule for what’s happening when you are there, it can vary from week to week). Sundays at 11AM the kids get to try out their hand at being Junior Chefs at the Festival Center. Another free offering, a Disney chef will help children use decorations to make their own personalized pancakes. The best part is the kids get to eat whatever they create! This is a new and fun addition to the Food and Wine Festival of 2018. You’ll need to sign up at the Center in advance to be sure your youngster gets a spot. Also at the Festival Center, and new this year is a program run by Joffrey’s coffee. You learn how the coffee you drink makes the journey from bean to that soothing hot drink so many love. Tastes are available; bags of Joffrey’s Disney Collection of coffee are for sale to guests. For a number of years, Ghirardelli has had an area in the Festival Center, and I highly recommend you check it out. They give guests a square of chocolate at no charge. 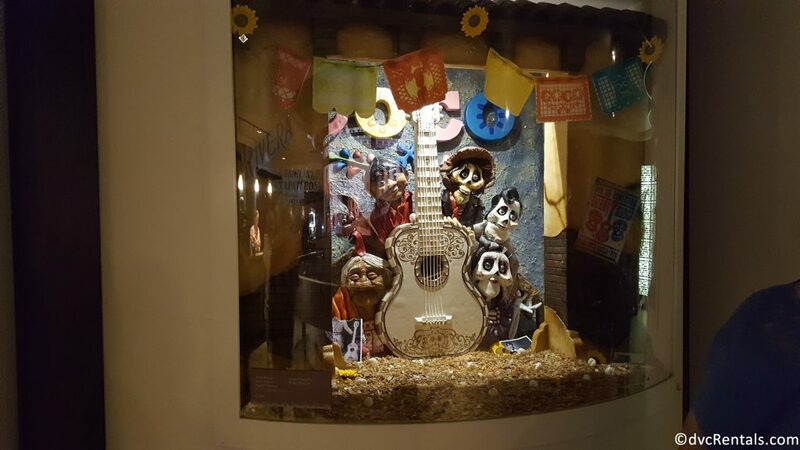 Additionally, there is an awesome exhibit of Disney creations made entirely from Chocolate. These vary from year to year, my favorite this year was a rendition of the movie Coco, but they all looked incredible. Bags of chocolate are available to purchase in this area if you’re so inclined. 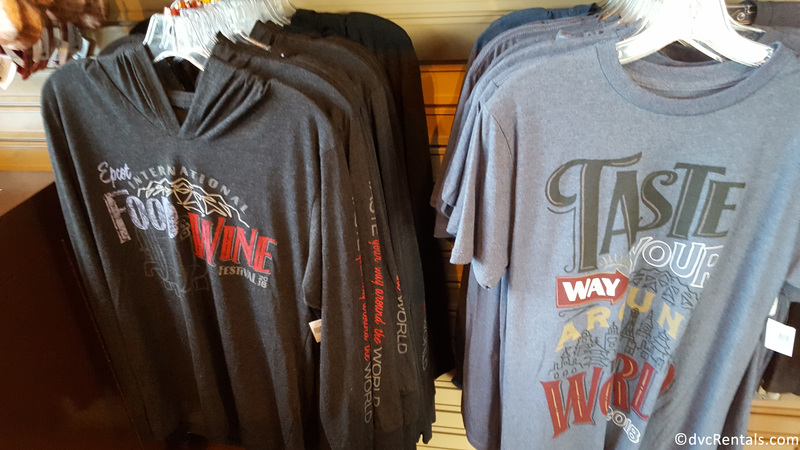 There are three other places worth mentioning at the Festival Center: There is a very large merchandise area, where you can find almost anything (there are some exceptions) sold at the Food and Wine Festival. 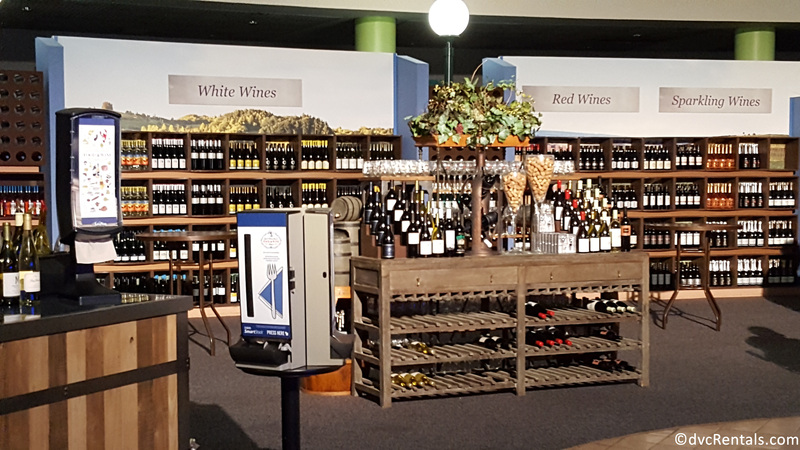 Second, there is a huge area that has a large selection of wine for sale from all over the world. Lastly, and this applies solely to Annual Passholders, the Festival Center is where you get your free magnet. You must show your Annual Pass and ID. After you have visited the Festival four times, you qualify to get a small wooden cutting board decorated with Mickey Mouse. You do NOT need to go to the Center four times to qualify for the cutting board. The Cast Members check your pass, and they can tell if you’ve swiped in four times since the festival started, and they will happily hand you your cutting board on your fourth visit or later. 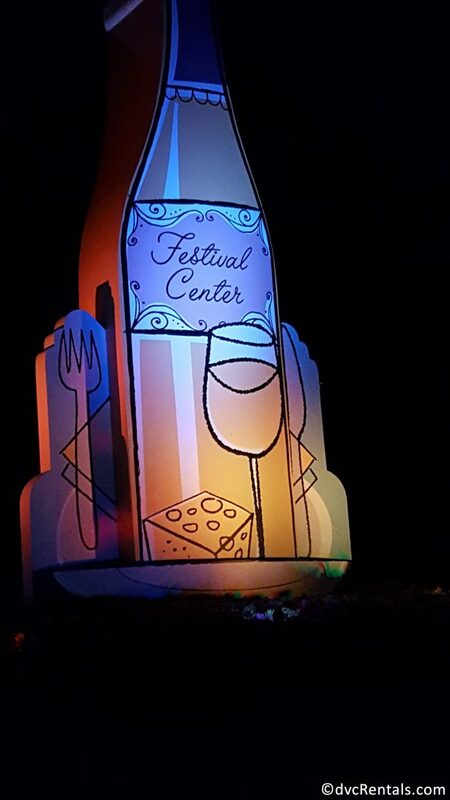 Before we leave the Festival Center, I would be remiss if I did not mention there are a number of culinary seminars, wine pairings, wine and cheese sampling and other events offered for a fee. 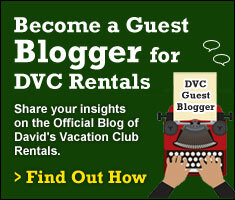 These go from $17 per person on up to $89 per guest, depending on length and what is served. 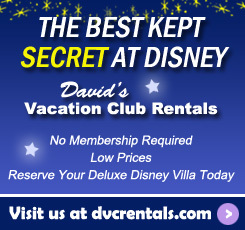 Call 407-WDW-FEST if you’re interested in booking one of these. One last word about the Center. Although, as mentioned above, it is open until 9PM the path leading to it from the direction of Mission Space is very dark. You might even think it’s closed, but don’t get discouraged, you’ll see it is indeed open until 9. OK, now let’s get to the nitty gritty—the food and wine booths aka (as mentioned above) the Global Marketplace. 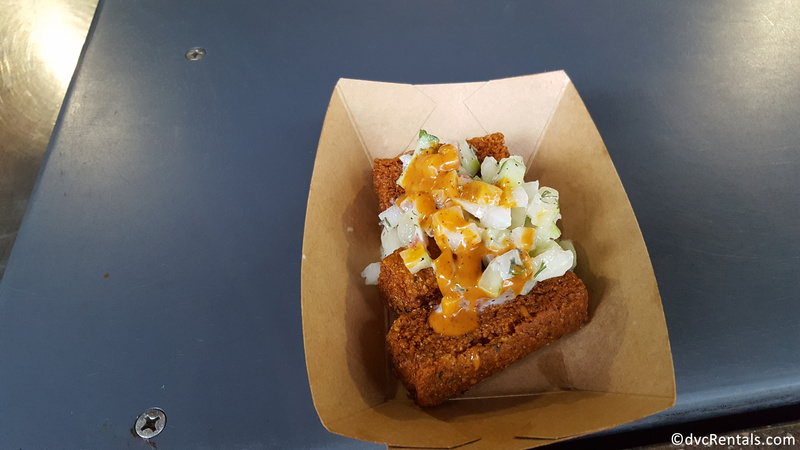 I was very pleased with the food at this year’s festival. I have gone three times so far and although one or two dishes were just “OK” there were none I disliked, and the large majority were really good. Others who attended with me agreed, this was a great year for Food and Wine. In past years I have questioned the quality of some of the Marketplace food, but not this year. Everything was cooked well and the meat, fish and veggie dishes all seemed top quality to me and the other guests I was with. Old time favorites included the Crispy Pork Belly in Brazil; Tuna Tataki and Pork Sliders in Hawaii; Warm Indian Bread with dips from India; Red Lentil Bean Stew from Africa (my daughter the vegetarian loves the last two dishes). On the “New” list, I recommend charred chimichurri steak that comes with a little bit of a corn cake with a pickled vegetable slaw. It can be found at the Marketplace called Flavors of Fire. (I highly suggest, in addition to the festival guide that you get a park map of the Festival. Some of the booths can be challenging to locate). I absolutely adored one of the new dishes in Brazil: Moqueca, a Brazilian seafood stew with scallops, shrimp and white fish in a coconut lime sauce. Other favorites from my group were the New Brunswick slider at Hops & Barley, butternut squash ravioli at the Wine & Dine Studio, and cronuts at Taste Track, the food truck located near Test Track. In total there are 35 new dishes at this year’s Food and Wine Festival! I had friends visiting last week and try as they might they said in the five days they were there it was impossible to try everything they wanted to experience! TIP: If you are on the Disney Dining Plan MANY of the offerings at the marketplaces are eligible for one snack credit each. It’s one of the best uses of your snack credits IMHO). As I mentioned earlier, there is a lot of merchandise for sale at the Festival Center. But there are some unique items for sale at booths at World Showcase. 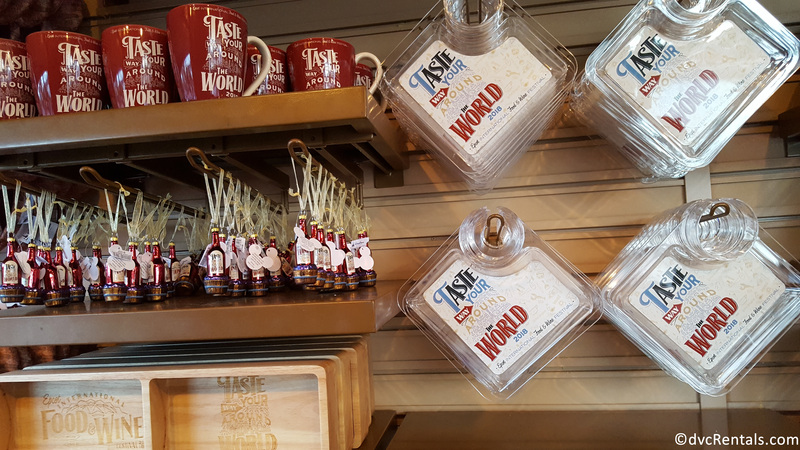 Soap, fragrances, wind chimes, flags, are among the unique souvenirs that can be found at these kiosks. 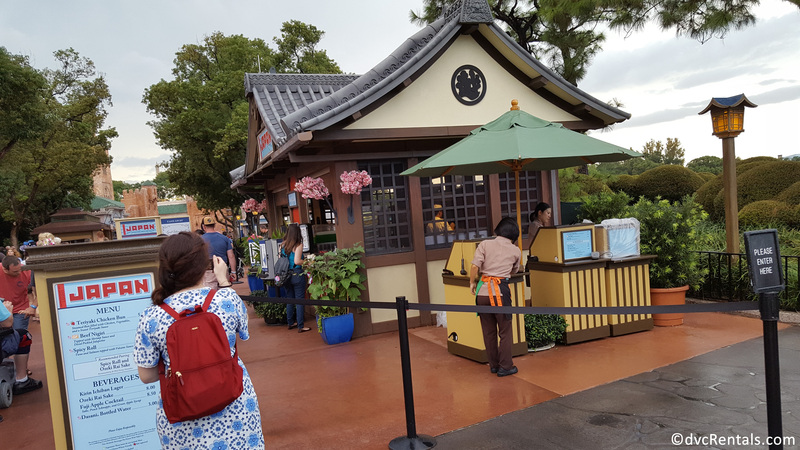 If possible give yourself at least three days minimum to explore the food and merchandise at the Epcot International Food & Wine Festival. There are three showings per night, 5:30; 6:45 and 8:00. 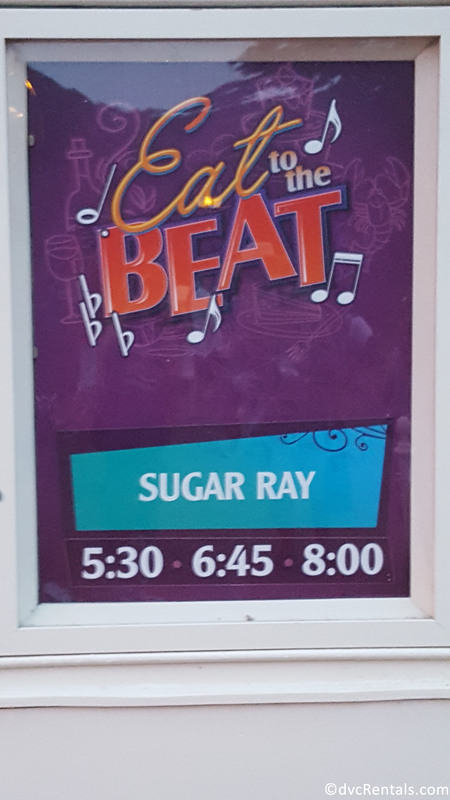 Lastly, all your favorite acts in Epcot are present during Food and Wine. Fans of Mariachi Cobre in Mexico; Acrobats in China; The British Revolution in the UK, The Voices of Liberty in America, Etc. Etc., will be able to see their performances. Keep on the lookout for a special version of the Jammitors show in Future World, only seen during the Food and Wine Festival. So, there you have it. 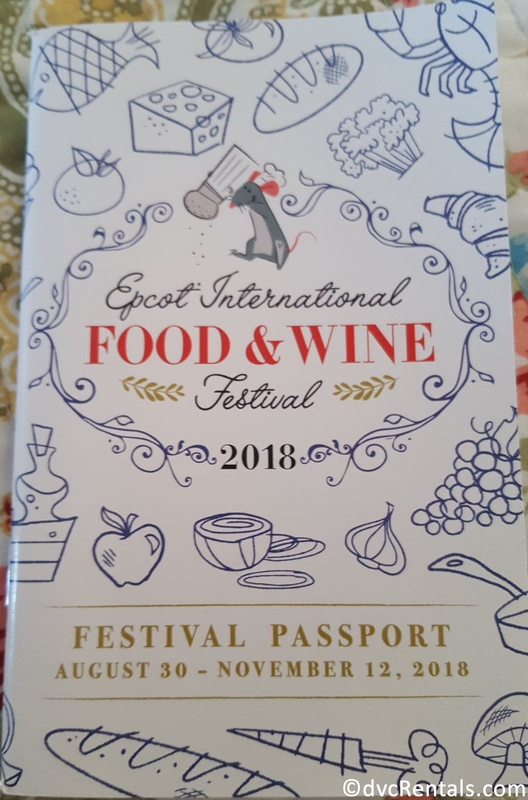 I won’t pretend that this was all inclusive, there is so much to do at the Epcot International Food & Wine Festival I am sure I could write a book on it. I wouldn’t be surprised if someone already has! I will sign off by saying this year’s Festival is the longest one ever. It began August 30 and goes on until November 12. Then there is a short break and on November 18 Holidays Around the World starts at Epcot (various holiday traditions and performers will be at the pavilions at World Showcase). Never a dull moment at Walt Disney World!